Nature is a beautiful place. and guess what? It's everywhere! 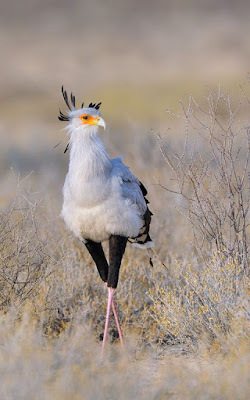 The Secretarybird or Secretary bird (Sagittarius serpentarius) is a very large, mostly terrestrial bird of prey. Endemic to Africa, it is usually found in the open grasslands and savannah of the sub-Saharan region. Although a member of the order Accipitriformes, which also includes many other diurnal raptors such as kites, hawks, vultures, and harriers, it is given its own family, Sagittariidae. Sagittarius serpentarius is found throughout Africa south of the Sahara, except the extreme deserts of the Namib coast and the forested region around the equator in western Africa. 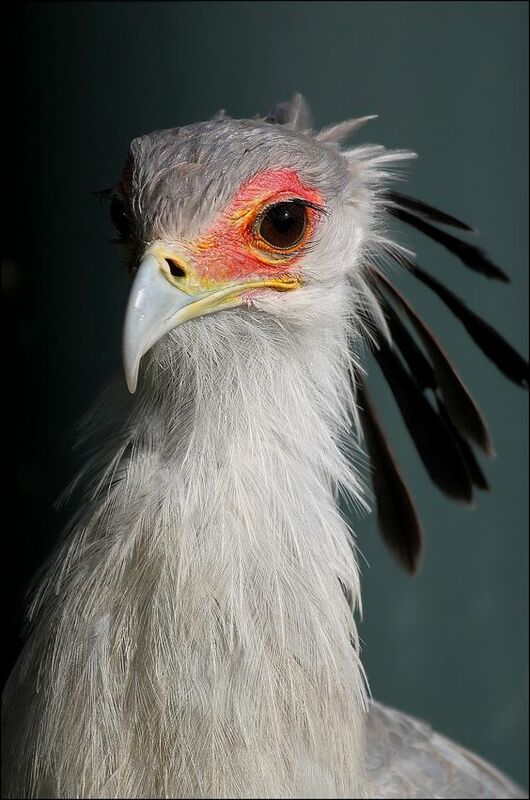 Secretary birds do not occur in the southern areas of Guinea, Cote d'Ivoire, Ghana and Nigeria, and are entirely absent from the sub-Saharan countries of Sierra Leone and Liberia. Secretary birds prefer open savannahs and grasslands, although they also live in semi-deserts and lightly wooded or scrub areas. In grasslands, secretary birds choose areas where the grass is one meter or less in height so their view is not obstructed. They are common near agricultural areas that offer hunting opportunities. Secretary birds are never found in true deserts with extreme aridity, or heavily wooded areas. These birds are found from sea-level to around 3,000 m.
Secretary birds stand around 0.9 to 1.2 meters tall and weigh between 2.3 to 4.27 kg. Females tend to be slightly smaller than males. Wingspans of females range from 1.2 to 1.32 m, while those of males range between 1.26 to 1.35 m.
These large raptors have very distinctive morphology. The plumage is generally gray in color, perhaps with some white feathers. 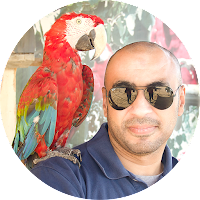 They have black flight feathers on the wings and a crest of black-tipped feathers on the back of the head. The bare face is orange to red in color. They have a relatively small head, a gray-white beak, a long neck, and an eagle-like body. Unlike an eagle, however, the bare, pinkish legs are very long and end in stubby toes with blunt claws. The tibial portions of the legs are covered in black plumage that give the bird the appearance that it is wearing shorts. The long tail has especially long central rectrices that are often tipped with black. Juvenile Sagittarius serpentarius are similar in appearance to adults with a few exceptions. First, the bare skin on the face is yellow rather than orange or red. Second, juveniles show black coloration on the tips of the wing shoulder feathers, as well as brown to black barring on the underwing coverts. Lastly, juveniles also tend to have shorter central tail feathers and crests than adults. It would be hard to confuse Sagittarius serpentarius with any other bird of prey, mainly due to their very long legs. From a distance secretary birds are mistaken for bustards or cranes. They are perhaps most commonly mistaken for blue cranes. 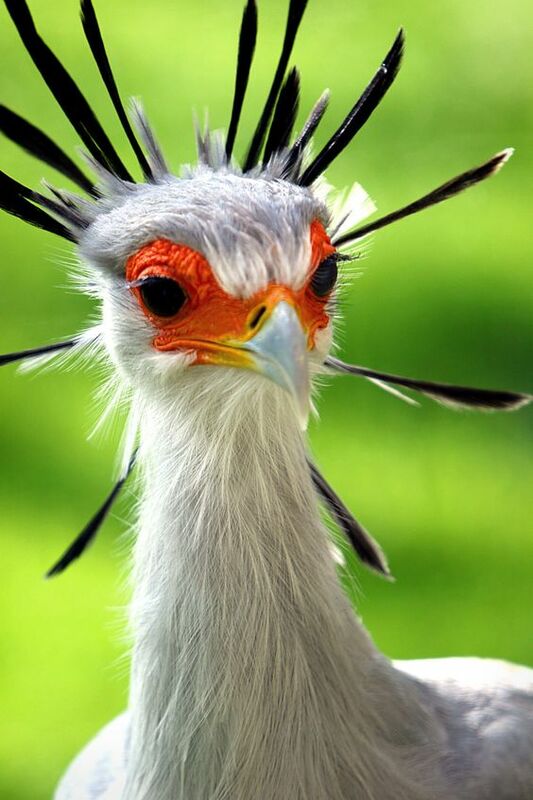 Secretary birds are monogamous and are thought to pair for life. In courtship, they give a croaking call while displaying in the air and on the ground. Aerial displays consist of high soaring and diving performed by a single individual (usually the male), or by the pair when the male will dive toward the female and she will half-turn to present her claws. This courtship behavior is very similar to that of other birds of prey. On the ground, their displays are very crane-like with the two birds dancing around with their wings outstretched. Sometimes small groups of secretary birds will all join in this ground display behavior. After courtship displays, mating will usually take place on the ground, although some pairs mate in trees. Sagittarius serpentarius is an opportunistic predator with a broad prey base. The majority of the diet is made up of arthropods (including grasshoppers, beetles, spiders, scorpions, wasps, etc.) and small mammals (including mice, rats, hedgehogs, hares, mongooses, etc.). Other recorded prey of secretary birds includes small and young birds, eggs, amphibians, freshwater crabs, lizards, small tortoises, chameleons and snakes. Although this species is famed for killing and eating snakes, these reptiles are not eaten as often as is generally believed. However, the snakes taken as prey are often adders, cobras, and other venomous species. Secretary birds hunt exclusively on the ground, either alone or in pairs (usually with their mate). The birds will set out across a grassy area at a steady pace searching for movement. If a particularly thick tuft of grass is encountered, the bird will stamp on it to flush out any potential prey. Once prey is spotted, the bird quickens its pace to take the prey by surprise. If a chase commences, the bird will flap its wings and run after the prey until catching up to it. With small prey, the bird will merely bend down and capture it in its bill. Larger prey, especially snakes, are stamped to death with the bird's blunt feet. A secretary bird will strike a snake just behind its head to snap its neck or stun it. Secretary birds are said to pick up a stunned snake, fly high into the air and drop the snake to its death, but this behavior has not been well documented. Once the prey is stunned or killed, the bird will swallow it whole through its large gape. If the prey proves too large, then the bird will tear it apart much like an eagle, using its feet to hold the prey down. Secretary birds regurgitate pellets after the prey is digested. The pellets consist of fur, bones, and invertebrate exoskeletons. Sometimes grass is found in the pellets. It is unknown whether the birds swallow grass incidentally along with the prey, or if they swallow it intentionally to help hold the pellet together when there is little fur present. Stones, which are swallowed to help in breaking up the exoskeletons of larger invertebrates, have also been found in the pellets. Secretary bird pellets are found around and in the nest and are especially helpful to researchers in analyzing the diet of birds in that area. This species is classified as Vulnerable because recent evidence from across its range suggests that its population is experiencing a rapid decline, probably owing to habitat degradation, disturbance, hunting and capture for trade. Passiflora (Passion Flowers) Can it calm your mind?